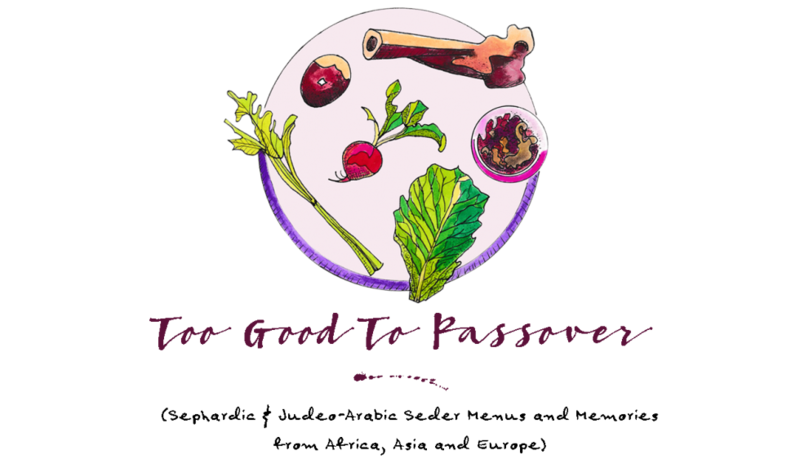 Even though this may be a dish served for an Iraqi Passover Seder meal, it is not something that is reserved solely for this holiday alone. Iraqis may prepare this for most any special occasion, including Rosh Hashanah as well as Shabbat. 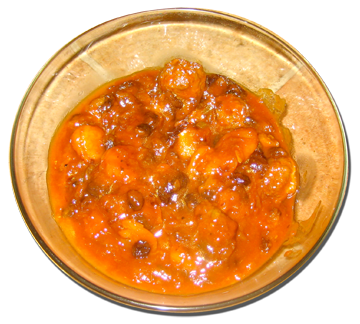 The sweet and savory combination of beef and/or lamb cooked with dried apricots is distinctly Middle Eastern, and has carried over into the Sephardic palate. 1. Soak the dried apricots, prunes, and raisins in a small bowl with 3 cups hot water. Set aside. 2. Heat the oil in a large saucepan over medium heat and cook the onions, stirring, until soft and golden but not brown, 3 to 4 minutes. Remove from the heat and pour into a large mixing bowl, keeping the saucepan for frying the meatballs (do not wash!). 3. Add the tomato paste and lemon juice and mix until the tomato paste is smooth and blended into the onions. 4. Add the salt, ginger, and ground coriander and mix well. 5. Add the dried fruit with all of its soaking water and mix well to combine. Set aside to prepare the meatballs. 6. Combine all the meatball ingredients (except for the oil) in a medium-size bowl squeezing it together with your hands until well blended and the meat is very soft. 7. Wash and dry your hands, then coat them lightly with extra canola or vegetable oil. Taking 1½ tablespoons of meat, roll it into a smooth meatball. Place the meatball onto a large platter or plate and continue to roll until all of the meat is used, oiling your hands if necessary. 8. Pour 1 tablespoon of canola oil into the same large saucepan that cooked the onions and reheat over medium-high heat for 1 minute. Place the meatballs into the saucepan and brown on all sides, about 10 minutes total. 9. Pour the sauce mixture over the browned meatballs and mix gently, taking care not to break the meatballs. Bring to a boil over high heat, uncovered, then lower to a medium heat and slow boil until sauce has thickened and reduced slightly and fruit is very soft or almost mushy in texture, about 1 hour. 10. Serve hot over white rice or as is alongside cooked vegetables or potatoes.